This is how you do a case statement in bash. I was reading the docker-selenium github project from Lewis Zhang. 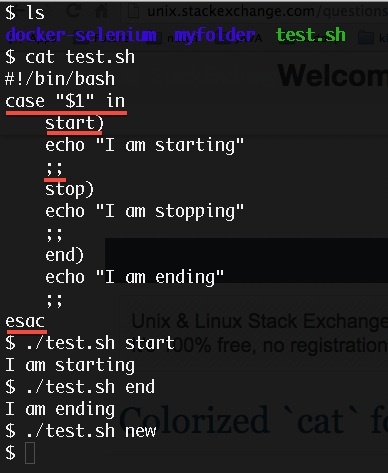 This is a dummy example that I came up to learn how case statement works in bash.